As we continued to grow, our client list expanded and we began developing mobile solutions for all types of publishers, broadcasters and media companies, in addition to the different civic, tourism and not-for-profit organizations we serve. Over the years we’ve found that while all types of organizations and their audiences can benefit from mobile apps and websites, different industries have distinct requirements and challenges when it comes to developing successful mobile projects. In 2017 we’ve distilled this knowledge and experience even further by launching two new company divisions, zCivic and zNewsroom, designed to cater more fully to these different industries. zNewsroom is focused entirely on meeting the needs of publishers and broadcasters with an emphasis on monetization strategies, audience development and other features geared towards media organizations. zCivic provides mobile solutions tailored for municipalities, chambers of commerce, convention and visitor bureaus, destination marketing organizations, non-profits, universities and more. Both divisions offer our clients access to the type of deep industry expertise that you would find at boutique software development companies, but backed by the powerful Bar-Z Mobile Development platform, enterprise-level service and dedicated support team. At Bar-Z Mobile Development, and within our family of brands, we sharpen our skills with each opportunity we get to innovate for our clients. Company founder, Lee Little, named Bar-Z in honor of his grandfather, J.V. Gates and his distinctive Barzee Brahman Bulls. Mr. Gates was a south Texas rancher who attacked a critical problem with the development and breeding of the Brahman Bull—its aggressiveness. 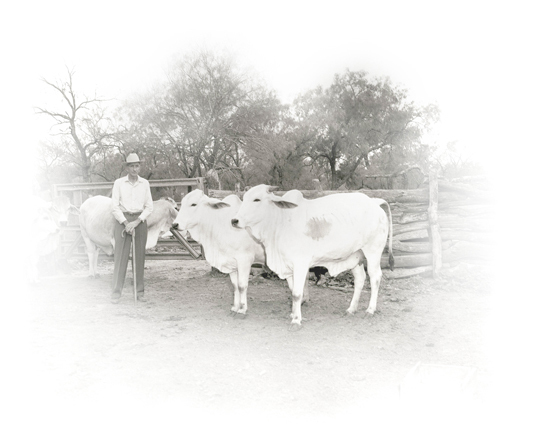 His insight and careful dedication allowed him to breed a “Naturally Gentle Brahman,” an animal never before seen in the cattle industry. Today, the Bar-Z brand continues to stand for innovation, resourcefulness and perseverance. We are a diverse group of folks with varying backgrounds and interests (as evidenced by our breakfast taco orders) but we come together in our commitment to bring our best work every day. We work hard and go the extra mile to make sure our clients are getting the best. Strategizing, planning, building, testing, launching, and marketing apps is serious work. It's true that much of the time we have our heads down, but, by all means laughing is appreciated and encouraged. We're growing fast so we're always on the lookout for the next great contributor. Interested in joining our team? View current opportunities.